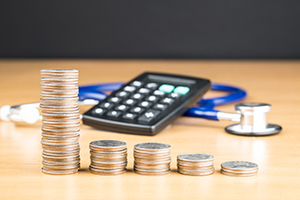 Medigap premiums can vary widely depending on the insurance company, according to a new study, so be sure to shop around before choosing a policy. When you first become eligible for Medicare, you may purchase a Medigap policy from a private insurer to supplement Medicare’s coverage and plug some or virtually all of Medicare’s coverage gaps. You can currently choose one of 10 Medigap plans that are identified by letters A, B, C, D, F, G, K, L, M, and N. Each plan package offers a different combination of benefits, allowing purchasers to choose the combination that is right for them. Federal law requires that insurers must offer the same benefits for each lettered plan, so each plan C offered by one insurer must cover the same benefits as plan C offered by another insurer. When choosing a plan, you need to take into account the different benefits each plan offers as well as the price for each plan. To make things more difficult, the premiums for a particular plan can vary widely, according to an analysis by Weiss Ratings, Inc., consumer-oriented company that assesses insurance companies’ financial stability, and recently reported by the Center for Retirement Research at Boston College. Weiss Ratings compared Medigap premiums in each zip code nationwide and found huge disparities. For example, a 65-year-old man who lives in Hartford, Connecticut, can buy a Plan F policy for anywhere between $2,900 and $7,400 annually. A 65-year-old woman in Houston can pay $5,300 a year for Medigap’s Plan C policy from one insurance company or she can buy exactly the same policy from another insurer for $1,700 a year. When looking for a Medigap policy, make sure to get quotes from several insurance companies to find the best price. In addition, if you are going through a broker, check with two or more brokers because each broker might not represent every insurer. It can be hard work to shop around, but the price savings can be worth it. R. F. Meyer & Associates helps clients with estate planning, probate, special needs trust and Medicare/Medicaid issues. If we can help you, call us at 614-407-7900, email info@elderlaw.us or fill out the contact form on this site at ElderLaw.US/Contact to schedule an appointment or free 15-minute consultation.